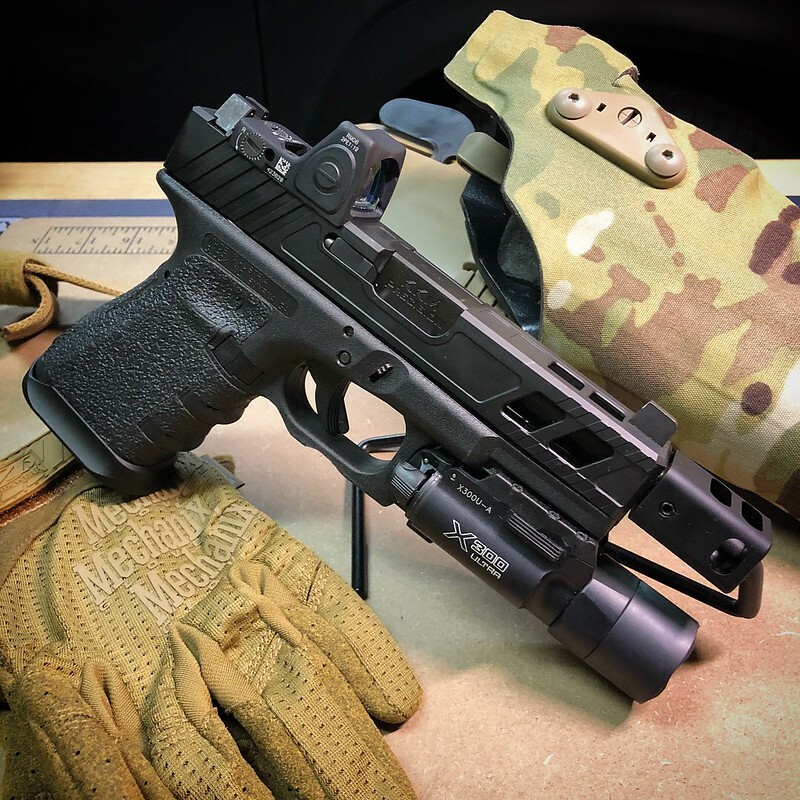 I've been doing some research on Safarliand RDS holsters and learned that they may have trouble fitting certain Glock setups with RDS like the Trijicon RMR. Does anyone have experience with this issue? My build is ongoing and I'd like to know if ordering their holster is a wise move. If you did have issues, can you share how to fix the problems? Thanks for the help! Currently looking at the 6395RDS or 6378RDS holsters. I'm not sure if this will help you. I'm running a Safariland 6392RDS holster but for a 4.25" M&P CORE with a Trijicon RMR and Surefire X300. And according to the list of guns that this holster fits on Safariland's website, it also fits a G17. I've had no issues with the holster for the fit with the M&P. I sorta recall hearing something about their RDS holsters being hit and miss with some Glocks but can't remember exactly what the problem is. Do you know what the problem is specifically? BTW...the gun fits the holster fine even without the RDS mounted and/or without the light mounted. Safariland's customer service said that they don't recommend running it without the RDS and Light, but it runs just fine. It's a great holster and worth the shot at trying it. I would suggest to just make sure you buy the holster from a store with a decent return policy. Also, I can highly recommend the OT Defense nub mod for the ALS button. it's $20 well spent once you make sure your glock fits. Thanks for the help L84CABO! I'm going to order the 6395RDS. It's just strange because the Safariland website only lists the MOS Glock's and not the standard versions. I guess it'll depend a lot on the aftermarket slide as well but I assume the fit can't be that different. Can't wait to give it a shot because I do love their ALS system. 6354DO fits G34, G17, G19 w/comp all with a Surefire X300 weapon light and RDS. Sweet setup Jimster! I considered the 6354DO but didn't want to drop let setup. Hopefully my choice of the 6395RDS will work with the build. Appreciate the feedback. Thanks, hope your choice works. If it doesn't, you can attach the 6354DO (or any holster with QLS) to a Safariland 745BL Belt Clip with QLS22 Receiver Plate or Safariland 567BL Belt Loop with QLS22. Does it have to have a comp at the end of g19? +1 That's what I run on my belt. Superb holster. My favorite so far. So glad I went with the multi-cam cordura finish! Looks better the more I see it in the wild. [QUOTE=jonnyt16;22921450]+1 That's what I run on my belt. Superb holster. My favorite so far.